Certainly one of the dreams of many, and probably most recording acts is to be awarded a gold record, for sales of.... whatever a gold record symbolizes or symbolized at the time of its awarding (the standard is different for singles and albums, and has changed for each multiple times). This record is not documented at ASPMA. 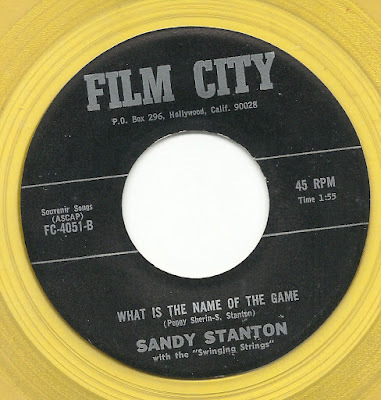 It comes from very late in the label's existence (the documented label numbers only reach about one hundred digits higher), and it is numbered after the last known Rod Rogers record for the label. That said, it clearly sounds to me like Rodd Keith on the Chamberlin, doing some wonderful work. And the two songs, both written by the same song-poet, sound extremely similar - they are clearly based on the same Chamberlin settings, playing at the same tempo and nearly the same key. The main difference is that one song bops along breezily in under two minutes, and is bouncily enjoyable throughout, while the other seems cobbled together in places, and goes on for far too long. Download: Sandy Stanton with the "Swinging Strings" - What Is the Name of the Game? As mentioned, the flip side, "You're Haunting My Dreams" could be mistaken for the same track on its flip side, at first. But this track keeps going and going, far after its worn out its welcome. The words aren't as effective as the flip, either ("I stay here and you stay there - stay there"). Plus, am I the only one who hears a number of fairly poor edits in the Chamberlin track and maybe in the lead vocal track? 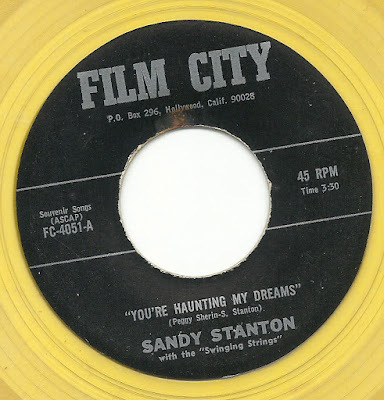 Download: Sandy Stanton with the "Swinging Strings" - You're Haunting My Dreams? Incidentally, an anonymous poster has recently offered up a few personal memories of Sandy Stanton, with more promised. 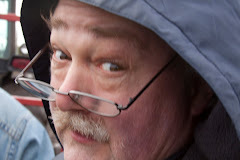 This post was, in part, inspired by that person, and I thank him or her for the comments. You can find those on this post (which unfortunately, has broken sound file links).